Aloo tikkis ( Potato patties) are a popular North Indian street food. 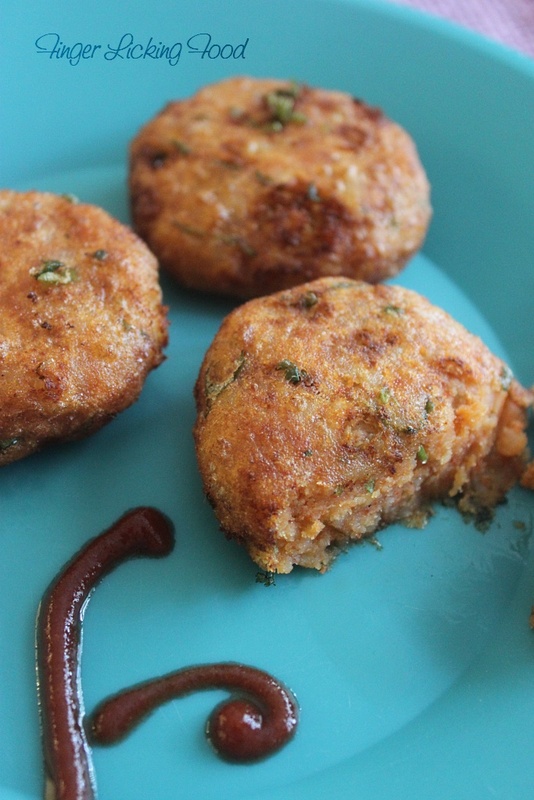 Served up on its own or in Ragada Patties, they make for a lip smacking snack. Typically they are shallow fried and seasoned with herbs and spices. 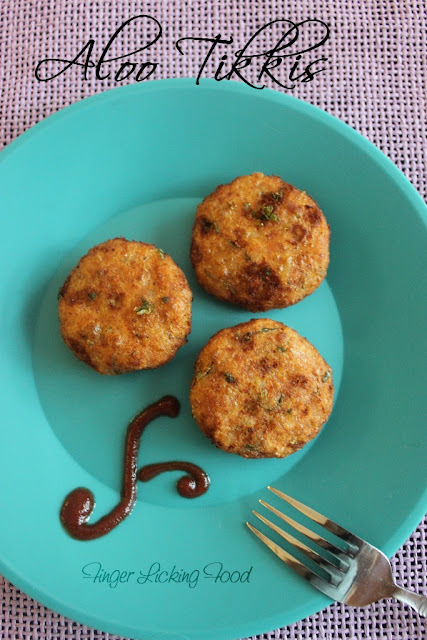 My version of the Aloo tikki is simple, has very few ingredients and prefer to deep fry it when serving it as an appetizer on its own. Combine all of the tikki ingredients in a medium bowl. Taste and adjust seasonings if needed. Shape into 2 inch wide patties and set aside. In a shallow bowl, mix cornstarch with little water to form smooth slurry. Dip each prepared aloo tikki in the cornstarch mixture and set aside for 10 minutes. Meanwhile, heat oil in a deep pan. When the oil is hot, fry the tikkis on both sides until golden brown. Drain on paper towels. Serve hot with Mint chutney, hot sauce or plain ol’ ketchup. 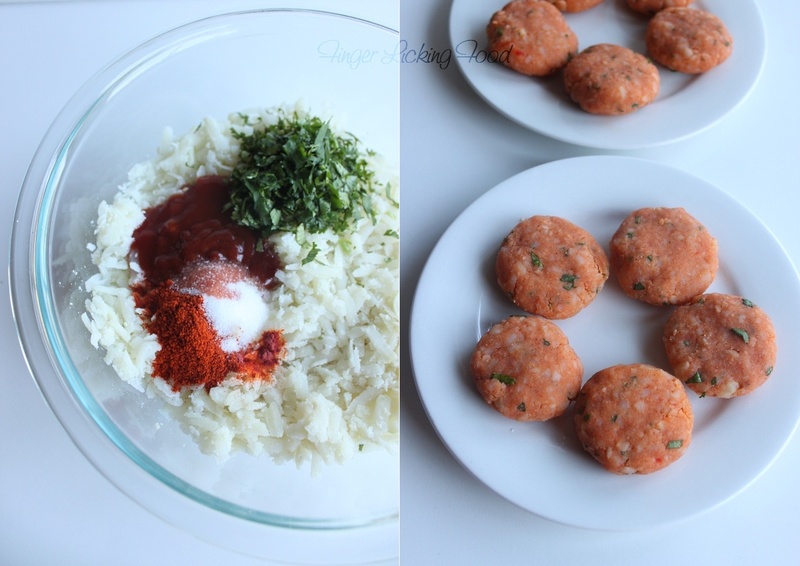 Love aloo tikki... used to eat it a lot when I was in India... Nice blog!! 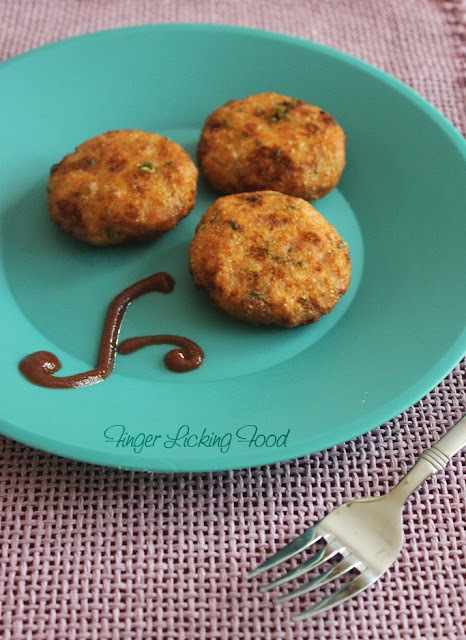 Aloo tikki - made at home.. Loved it with mom's pudina chutney and bread. I remember when I was in college, staying at my aunt's place, I put them into medium heat oil and they all split into crumbs.. A good point to note is to make the oil really smoking hot to avoid that. @ Joey, if the oil is smoking hot then the outside browns very quickly. Though the inside is already cooked and doesn't need much time in the oil, it helps remove the plain ol' boiled potato taste. Coating the tikkis in the corn flour paste, helps keep the tikki intact and from breaking up. And it is very important to let the tikkis rest a few minutes after coating, dipping and frying immediately doesn't help. oh it is one of the good foods foe me. love it. finger licking indeed. Your blog is such a great inspiration to me which made me to develop a blog one for myself! On behalf of this I would like to present an award for you! Pls collect it from my blog! Also participate in my event Love Lock with sweets. we enjoy it with bread.